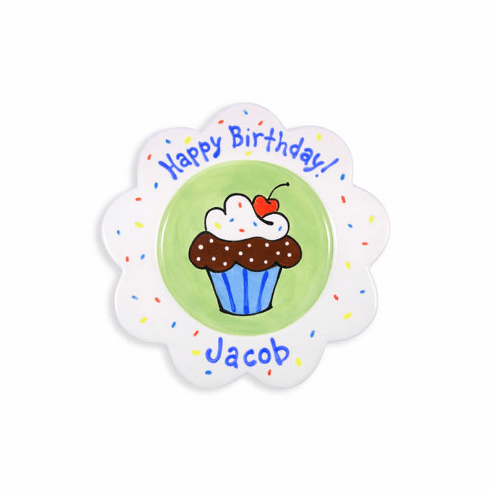 This cute birthday cupcake plate is a wonderful keepsake. Use it during the birthday party and then keep it for later years. These plates are handpainted by Kathleen Virtue and are dishwasher and dinnerware safe. Add a special keepsake to this year's birthday celebration!